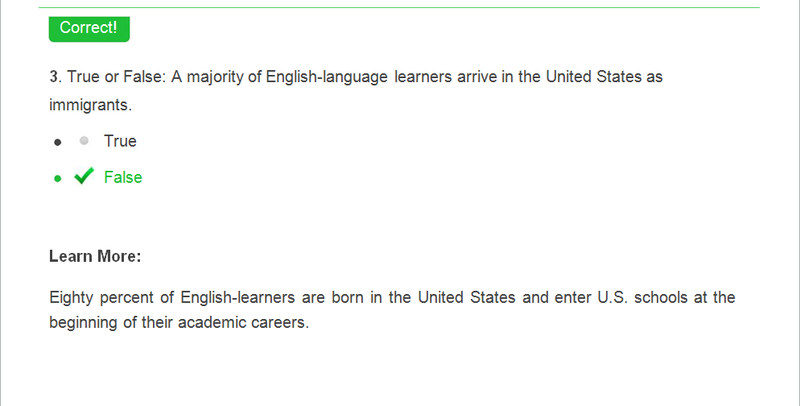 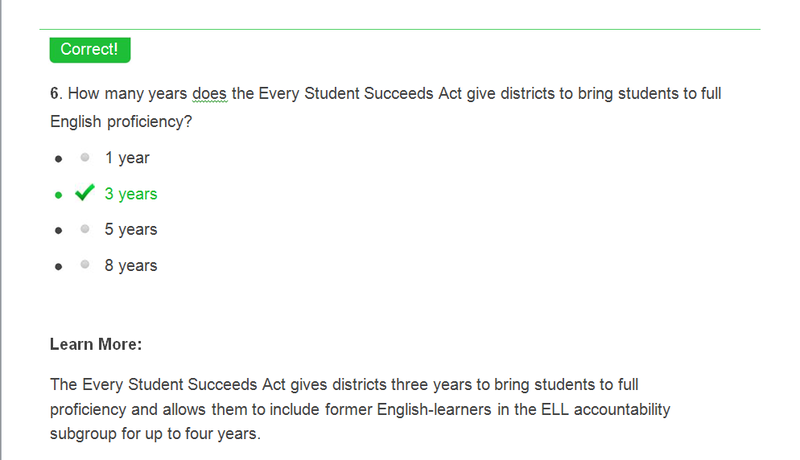 "How Much Do You Know About English Language Learners? 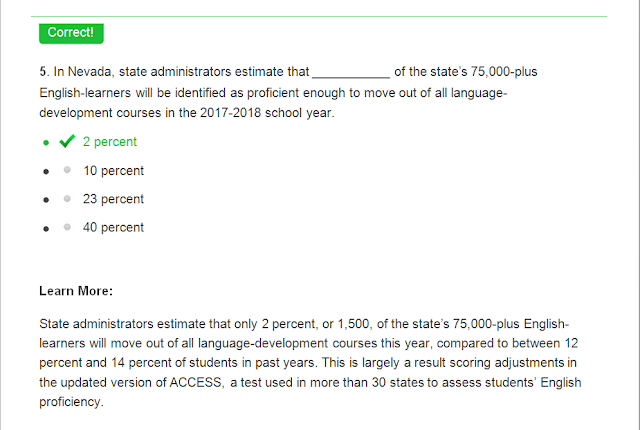 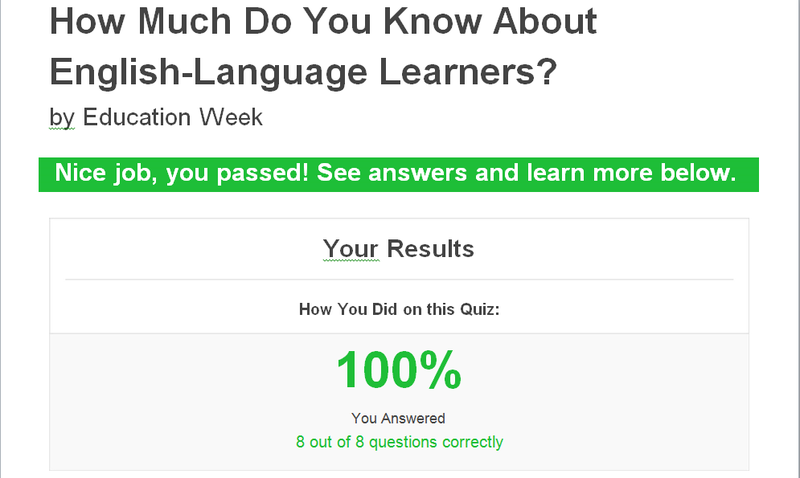 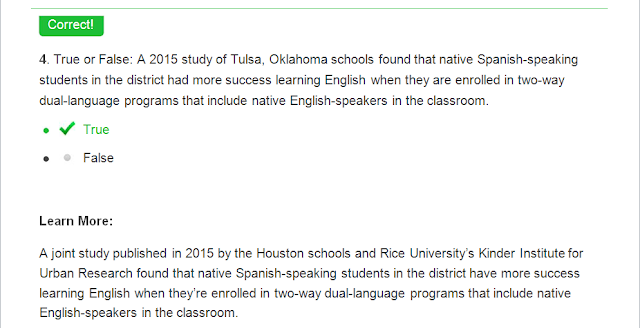 This weekend, I received an email from Education Week with a link to a quiz that roughly assessed how much I knew about English language learners. 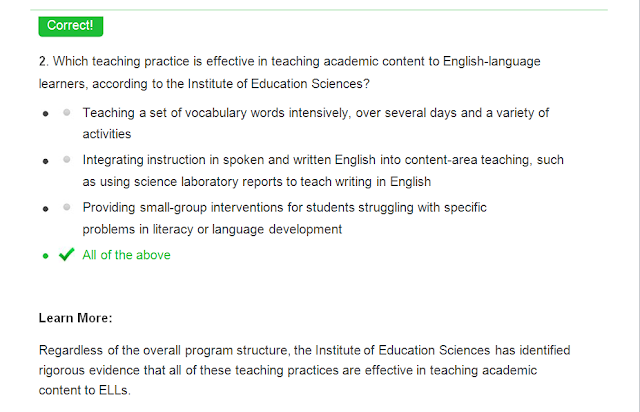 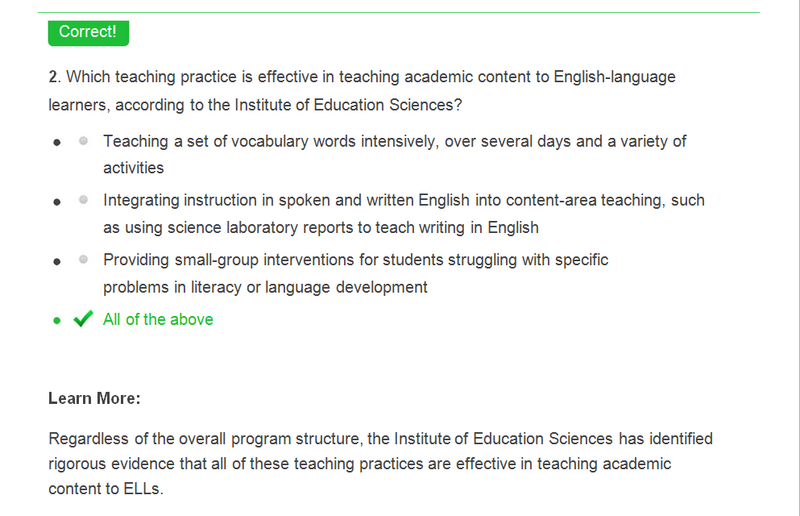 There were eight questions but only the first two concerned best teaching practices derived from evidence-based research. 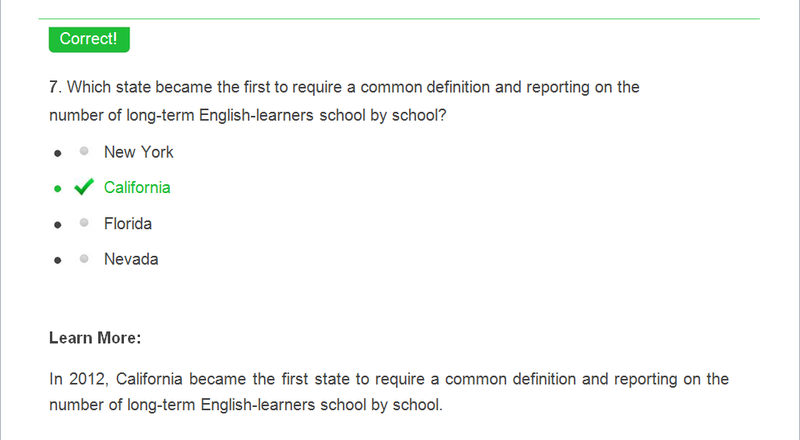 The other six questions would require familiarity with current conditions in schools in the United States. 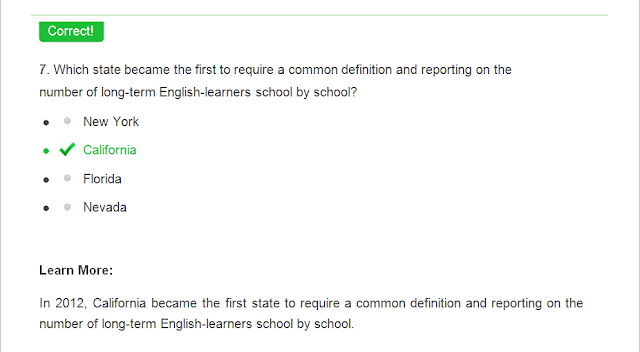 I thought it would be useful to share this quiz especially the first two questions since these touched on some of the stubborn myths regarding learning English as a second language. 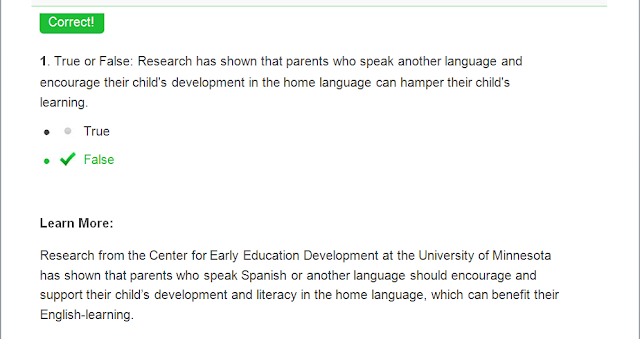 For instance, I am sure there are among us who were raised with the idea that speaking in our mother tongue at home harms our learning of English. This is not true.